Dean of Admissions and Financial Aid William R. Fitzsimmons '67 discusses admissions statistics for the Class of 2019. Harvard admissions officers assign numerical scores from 1 to 6 to each College applicant they consider and use those scores to determine Harvard hopefuls' fates, according to court filings submitted Friday. The filings—part of a lawsuit alleging Harvard discriminates against Asian Americans in its admissions process—reveal previously unknown details of the University’s secretive admissions process. Anti-affirmative action group Students for Fair Admissions first filed the lawsuit against Harvard in 2014. In Oct. 2016, Harvard provided SFFA with data on hundreds of thousands of students who applied to the College between fall 2009 and spring 2015. In addition to drawing on this data, SFFA's Friday filing also references statistical analysis and opinions given by outside experts. 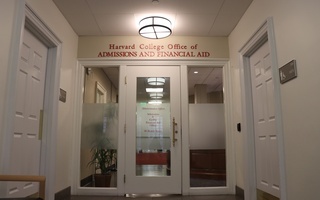 Harvard applicants are assigned ratings in approximately 14 categories including academic achievement, extracurricular involvement, athletic prowess, strength of character, up to four teacher recommendations, counselor recommendations, a “personal” and “overall” rating by staff, and a “personal” and “overall” rating by an alumnus, according to the documents filed by SFFA. The ratings range from 1 to 6, with 1 marking the highest possible score. Admissions officers can also add a “+” or “-” to a score to distinguish stronger candidates from weaker ones. As an example, a briefing submitted by SFFA indicates that a “2+” rating is stronger than a “2,” which is in turn stronger than a “2-” rating. Federal Judge Allison D. Burroughs, who is overseeing the case, redacted a portion of the SFFA documents that included Harvard-provided information regarding what typically happens to applicants who receive an overall rating of 1 or 2 or a score of 3 or lower. 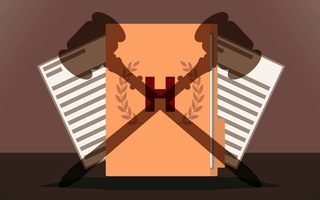 The filings also detail guidelines for admissions officers—called “Reading Procedures”—that outline criteria applicants must meet to receive certain scores. Burroughs redacted most of the information on the “Reading Procedures” in the court documents, but a few pieces of information remained visible. Burroughs redacted information about what constitutes an extracurricular score of “1,” as well as most of the information about “1” scores in different categories. 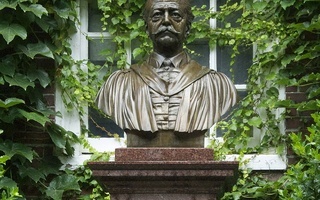 Harvard’s filing states that admissions officers review candidates’ “humor, sensitivity, grit, leadership, integrity, helpfulness, courage, kindness and many other qualities” when determining the personal rating. If an applicant participates in an interview, the interviewer—typically either an alumnus or an admissions officer—also assigns the candidate a "personal" and "overall" score. In making their final determination, Harvard admissions officers also review these separate scores, according to the filings. Although interviews are not required, “those who do not interview are rarely admitted,” according to the SFFA filing. The rating system comprises part of the first phase of the admissions process, per the SFFA filings. After the first reader combs through an application, a “small group of admissions officers” reaches a “tentative decision” about whether to accept, waitlist, or reject an application. Next, the full Admissions Committee—comprising nearly 40 members—convenes to “reach final decisions on applicants,” according to the University’s submission. Throughout this process, senior admissions officials review reports on applicants’ demographic data at “critical points,” including “at the close of the early-action and regular-decision cycles,” SFFA’s filing states. These documents, termed “one-pagers” track factors including the gender, location, legacy status, disadvantaged status, recruited athlete status, citizenship, and race of College hopefuls. 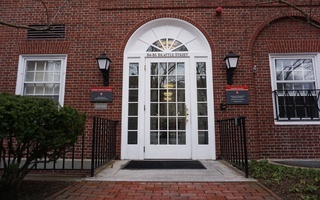 Senior admissions staff—including Dean of Admissions William R. Fitzsimmons ’67 and Director of Admissions Marlyn E. McGrath ’70—review these documents “throughout” the full Admissions Committee meetings, per the SFFA document. 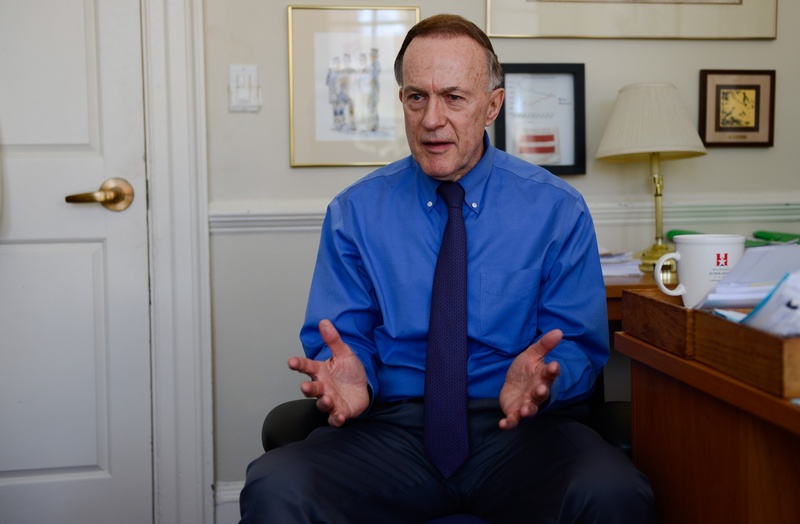 Even as some previously unknown information about Harvard’s admissions process became public in Friday’s filings, the vast majority of admissions data will remain confidential unless the lawsuit goes to trial. Both Harvard and SFFA hope to convince the judge to throw out the case before it goes to trial, though experts—and Burroughs herself—have said this outcome is unlikely.